If you are the owner or operator of an ambulance transportation business serving Medicare or Medicaid beneficiaries, you must understand that federal prosecutors across the U.S. are vigorously scrutinizing CMS billing reports in connection with dialysis and other non-emergency transportation services for potential fraud. In fact, recent Medicare prosecutions in Florida, New York, Ohio, Houston, Dallas, and Chicago suggest that the government fundamentally questions the medical necessity of many Medicare dialysis ambulance transportations and has now instructed FBI and OIG agents to collect evidence for upcoming health care fraud prosecutions. Our attorneys know how to defend business owners against claims of lacking medical necessity, unauthorized uses of ambulances, and other alleged failures to meet CMS requirements in connection with non-emergency transportations. Call attorney Dr. Nick Oberheiden and his team today and obtain reliable guidance in a free and 100% confidential consultation. As a Medicare and Medicaid provider, the government expects you to be aware that CMS only reimburses claims for non-emergency ambulance services provided to Medicare beneficiaries. Further, these transportations to hospitals, skilled nursing facilities, or renal dialysis facilities must be made for the purpose that the transported beneficiaries receive Medicare or Medicaid covered services or returning from receiving care for such services. Further, Medicare only approves those non-emergency ambulance services where the patients were transported in an actual ambulance and were either bed confined or needed vital medical services that are only available in an ambulance. Importantly, Medicare and Medicaid do not reimburse for claims for ambulance services where such transportation was conducted through non-ambulance trucks, but rather personal vehicles. Medicare and Medicaid also do not reimburse for claims for ambulette services such as a wheelchair accessible van that provides non-emergency transportation. Any billing in deviation of these rules may constitute Medicare Fraud. When Does a Medicare Part B Beneficiary Qualify for Transportation? Medicare Part B covers both, emergency and non-emergency ambulance services. Under Medicare definitions, an emergency ambulance service assumes that the patient’s health is in serious jeopardy and requires instant hospitalization. In terms of scheduled, non-emergency ambulance services, Medicare Part B reimburses for an ambulance that is (1) medically necessary meaning that it is the only medically appropriate and safe way to transport an individual; (2) the reason for the trip is to receive Medicare-covered services or return from receiving Medicare-covered care; (3) the beneficiary is transported to and from recognized and covered locations; (4) the transportation agency meets and is compliant with all Medicare ambulance requirements. What Are Recognized Locations and Destinations for the Ambulance Transportation of Medicare Part B Beneficiaries? Medicare Part B covers the following locations and destinations: (1) from a patient’s home (or any place where a need for transportation arises) to the nearest appropriate hospital or skilled nursing facility; (2) from a hospital or skilled nursing facility to a patient’s home as long as the hospital or the skilled nursing facility is the nearest appropriate facility; (3) from a skilled nursing facility to the nearest medical provider if the skilled nursing facility cannot provide a patient with necessary treatment and the cost of the transportation is less than bringing the treatment to and from the beneficiary; (4) and from and back a patient’s home to the nearest appropriate renal dialysis facility. How Does the Government Investigate Medicare Ambulance Fraud? The ambulance fraud investigations defended by Oberheiden, P.C. attorneys have revealed that federal investigators (FBI, OIG, Medicaid Fraud Control Unit, Attorney General’s Office, U.S. Attorney’s Office, Department of Justice, Department of Health and Human Services) pursue fraud allegations in a multi-layered process. Typically, after becoming aware of potential fraud—either through a CMS billing analysis or a complaint filed by a former employee, competitor, or a patient advocate—investigators will begin interviewing transported Medicare beneficiaries and their family members about their health and the necessity of their past transportations. If the suspicion turns into a lead, agents often use extensive FBI surveillance to document that the actual and the reported health conditions do not match. Only at a much later point, will targeted business owners find out about an ongoing investigation, typically by way of a federal grand jury subpoena. What Should I Do If Our Ambulance Business Receives a Grand Jury Subpoena? Receiving a subpoena from the Office of Inspector General or a grand jury is a meaningful legal event. In the federal justice system, the decision to charge individuals or businesses with felonies is, with limited exceptions, exclusively assigned to the grand jury. 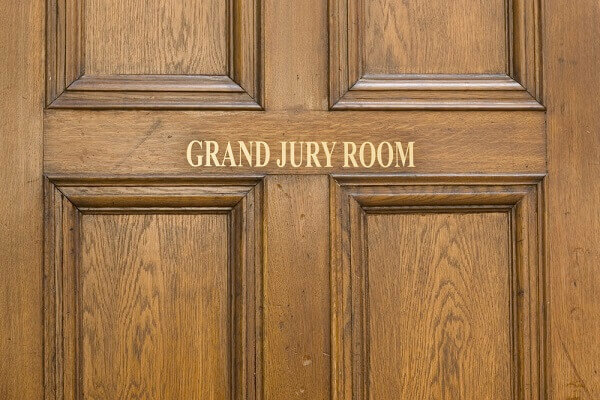 Grand jurors, to make that charging decisions, need to be fed information, which they typically receive through witness testimony or through records and documents as part of a grand jury subpoena (often called “duces tecum”). If your business receives a government subpoena, you must assume that you are subject to a federal investigation and you need to consult with experienced defense attorneys right away. Do not respond to subpoenas without qualified attorneys. Do not simply produce documents and think that this will make things go away. Experienced grand jury defense attorneys will first find out what the purpose of the investigation is and whether you are your business partners are actual targets. This information is critical to tailor an effective defense strategy rather than producing documents in total blindness. Does the Government Execute Search Warrants Against Ambulance Business Locations? Yes, upon the approval of a federal magistrate judge, federal agents under the supervision of the U.S. Attorney’s Office routinely surprise and shock health care business owners by showing up—unexpectedly—to search and seize the business or personal premises in an effort to secure incriminating materials. When this happens to you, please contact Oberheiden, P.C. right away. Your business is under attack and any mistake from here can result in federal charges as the logical next step. Oberheiden, P.C. has successfully avoided resolved criminal investigations in the aftermath of a search warrant resulting in no civil and no criminal liability for our clients. Do not wait. Do not gamble with your freedom. Call Oberheiden, P.C. today. What Is Medicare Fraud in Connection with Ambulance Transportation Cases? What Are the Penalties in Ambulance Fraud Cases? If found guilty of 18 U.S.C. 1347, the defendant is subject to not more than 10 years imprisonment for each count of health care fraud, a term of supervised release of not more than 3 years, a fine not to exceed $ 250,000, mandatory restitution pursuant to 18 U.S.C. 2248 or 18 U.S.C. 2259 or 18 U.S.C. 3663A, asset forfeiture pursuant to 18 U.S.C. 982, and a mandatory special assessment. What Are the Reasons to Call Oberheiden, P.C. at the Earliest Sign of an Investigation? The sooner we are able to help, to earlier we can intervene into an investigation, the more promising the chances for us to stop the investigation. Most people tend to ignore or intentionally turn a blind eye to the fact that something may not be right. Don’t make that mistake. Sitting back and hoping that things will miraculously go away on their own has never once proven to be an effective strategy when it comes to Medicare fraud investigations. At the end of the day, all you have to do is spend a free and 100% confidential consultation with a person that can answer your most daunting questions. So, why not call Oberheiden, P.C. right now? What Is a Federal Medicare Fraud Conspiracy? Federal prosecutors frequently charge health care fraud cases as federal criminal conspiracies pursuant to 18 U.S.C. 1347 and 18 U.S.C. 371. Doing so offers the government the opportunity to join multiple defendants into a single case. While the government still maintains the burden to prove beyond a reasonable doubt that each of the named defendants is guilty of Medicare Fraud or Medicaid Fraud, the concept of a conspiracy somewhat reduces that burden by showing that each conspirator contributed in some form to the attempted or actual fraud scheme. The easiest step in your case is to reach out to Oberheiden, P.C. When you call us, you will receive a free and confidential consultation, a free case assessment, and advice you can count on. Oberheiden, P.C. does not use junior lawyers and only partner-level attorneys will be your contacts at our firm. Give us a call and enjoy the fact that we understand the challenges in your industry. Find comfort in the fact that we have successfully defended business owners like you before and we are ready to do it again.